To teach an academic subject is certainly not easy, but compared to coaching it is. We can say ‘two plus two is four’ to every kid and be sure that we are right. But in coaching, we have to literally get to the soul of the people we are dealing with. Under David’s guidance, D3 is focused on helping sales managers, sales people, and client facing staff achieve significantly better results through impactful and individualized consulting, education, and business coaching. Prior to the formation of D3P, David was a Managing Director and Dean of the Business Development and Client Service Academy at BNY Mellon University (BKU). He led the Academy in the creation of course curriculum designed to enhance business development skills that improved the effectiveness of client facing staff. Before heading up the Academy, David served as the Head of National Sales for BNY Mellon’s Corporate Trust Group, including Corporate and Insurance, Financial Institutions, and Public Not for Profit. David’s expansive experience in sales training and coaching extends well over a decade. An engaging speaker and enthusiastic sales coach, David has helped hundreds of employees at all career levels develop, hone, and perfect consultative selling and sales management skills throughout many large institutions across a range of different industries. David has held a wide variety of leadership positions in the financial services industry. At US Trust, David served as a Metro New York City Executive where he was responsible for building the firm’s high net-worth business. David also served as a Managing Director and Head of the JP Morgan (JPM) Private Bank’s effort to target owners and key executives of middle market businesses in New York City and Westchester County. Prior to this role, David was the Head of the Multi-Manager Investment Advisory Group at the JPM Private Bank. In this capacity, he effectively merged the three heritage firms’ (JPM, Chase, H&Q) “open architecture” teams into one cohesive operating unit. During his tenure, he was also responsible for the oversight and management of all the marketing/client advisory, investment, and infrastructure functions. David is a member of the Strategic Account Management Association (SAMA) and the Association for Talent Development (ATD). 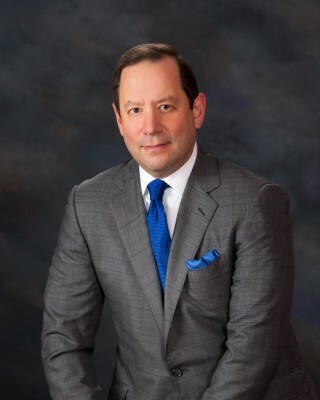 As the past Chairman of the Smeal MBA Alumni Advisory Board at Pennsylvania State University, David currently serves on the Board of Visitors for the Smeal College of Business. As a former advisor to the national business fraternity Phi Gamma Nu at Penn State, he remains an active mentor to both students and professional colleagues. David earned his BS from the University of Connecticut and his MBA from Pennsylvania State University.